Item received in good condition and the delivery is fast. Netural written by mobile Thin translucent & DO NOT IRON ! My 2nd purchase because I burnt (melted) my dress while ironing in "silk mode temperature". So buy again. ;( Thin translucent & DO NOT IRON ! Material is v thin & a bit short. But the design is nice. Maybe the real original one is better quality cloth & cutting then is perfect. Looks cheaply made but good for casual wear. Collar is badly sewn. Received item , fast delivery, like the dress will buy again. good price, good product and fast delivery.I got the yellow dress today, I order 'X' and a bite too big for me. Other white dress I had ordered 'XL', since you do not have stock; please change the size to 'M'. Thank you! I still do not get my white dress, ordered on 23 Jun 15. Now is 20 Jul 15. Please help and thank you! Items received in good conditions. Will buy again. Super fast delivery. Have been purchasing from seller many times. Great design and quality. Love it! Thanks. Nice dress. I like it. Hope the blue color does not run onto the white collar during wash.
Is the measurement of 33-36cm in shoulder correct . I usually wear s or m but my shoulder is definitely broader than 36cm . How do u measure shoulder ? The shoulder measurement for S is 30. We only left with S & XL. Hi Thanks for your enquiry. Texture is smooth. Hi Can I confirm you really still have size L for yellow ? Is the quality good or is old stock with yellow stains type ? And can you confirm that the length is really 85cm as I saw reviews is 75cm only ? Thanks seller. Could i check the Bust size is U.Bust or T.Bust size? We've requested Qoo10 to refund you as the item in this colour is out of stock. 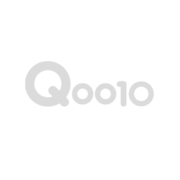 You can check your Qoo10 account under “cancel/refund” for the details. Please note that the money will be in the form of whichever mode of payment you used e.g. credit card; if you’ve paid via Visa/Master Card, your refund will be credited into your card account within 2-3 weeks from the money refunded and you can check your following month’s bank statement to confirm. For other queries on this, please contact Qoo10 customer service at help@qoo10.com.sg as they finalise all payments to customers. Are these 2 items out of stock currently - ST5083(Orange) & STDD02 (green)?